Too often, pop music finds itself fumbling through age-old tales of love — loving someone else, losing the ones you love, loving the ones you lose. Rarely does a song ever acknowledge that you need to also love yourself, too, however. Modern pop music inherently acknowledges the other, but never the self. 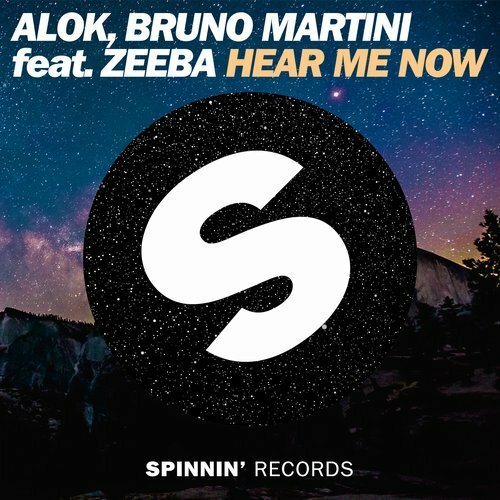 “Hear Me Now,” (Spinnin’ Records) an indie-pop dance tune by Brazilian artist ALOK and Bruno Martini, brings the self directly to the fore. Racking up 151 million plus streams on Spotify, 2.6 million streams on SoundCloud, and over 45 million YouTube views, “Hear Me Now” is a glimmering success that has captivated the world over. The track is a menagerie of sonic styles, and invites anyone of any background to not only listen to the beauty of the song, but to also look inwardly at themselves. “Hear Me Now” feels ubiquitous, and enchants its listeners with a harmonious engagement seldom found in contemporary music. The track is a dynamic sonic blend of acoustic guitar glazed over with a punctuating dance beat, tinged with the willing freedoms akin to driving around on late Saturday nights. Its upbeat instrumentals match its positive message, and curate a warmth that a prospective listener will feel to their core. There is an undeniable soul captured within the song, and listeners can’t help but feel the palpable and infectious energy. Though things may not always go exactly according to planned, the only thing that matters is that you never allow mundanity to consume you. You cannot allow your life to just simply happen; you cannot simply exist and just accept the norm. To truly grow into the best possible version of yourself, you cannot be stagnant.